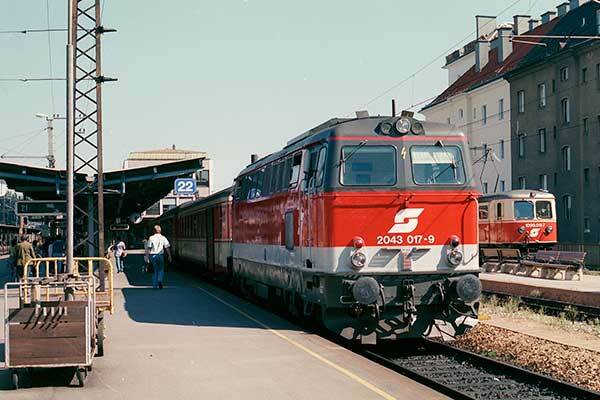 Caption - OBB Diesel Hydraulic B-B 2043 017-9 at St Polten Hbf. In the background is veteran C-C electric loco 1099 011-7 on the narrow gauge Mariazellerbahn. These locos were introduced in 1910.